So, finally got the new printer-copier-scanner-fax-teleporter combo (just kidding about that last part — should be in next year’s model). Never in my life have I named an inanimate object, but I’m thinking of calling it Darth Vader because it’s all shiny black plastic and its lid has a curvature reminiscent of Vader’s own. Though, glancing over at it and the white cat now sitting on it, I’m already kind of regretting the black part. So, I had mentioned that I’d picked up some cool stuff at World Con. It was my great pleasure to meet Erle Melvin Korshak at his booth in the dealers’ room. He’s only been attending these things since 1939 (the first World Con) and in the 1950’s founded Shasta Publishing, which printed many fine volumes that are now collector’s items. 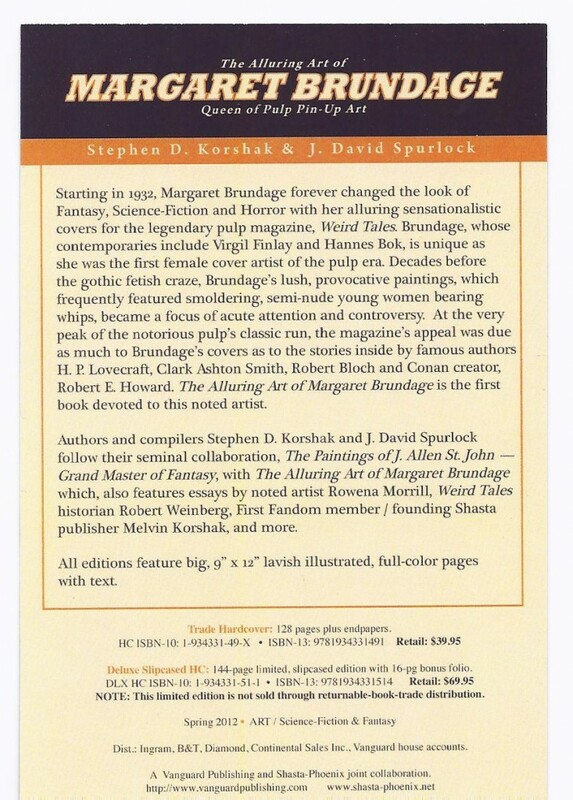 The good news is that Melvin has revived Shasta under the name Shasta-Phoenix, and with Stephen Korshak and other sf historians, is publishing a line of terrific art books dedicated to sf and fantasy art. I already mentioned the Frank R. Paul volume in an earlier column. 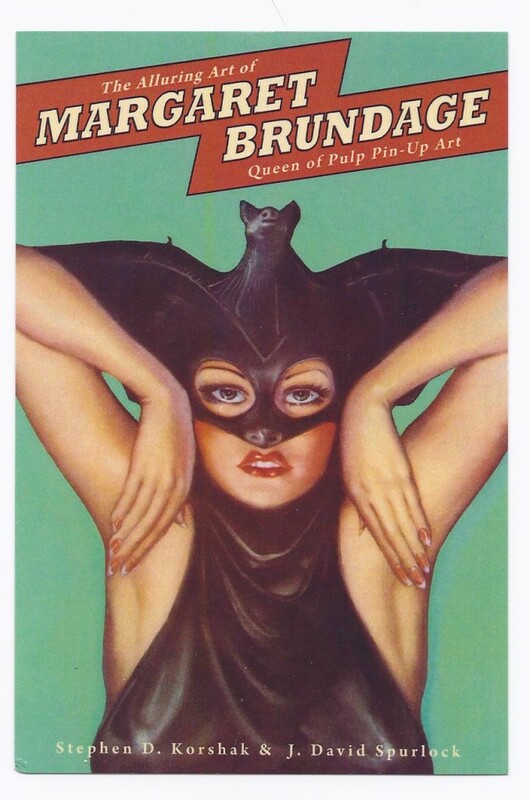 This time around, it’s the Queen of Weird Tales turn. After all these years we’re finally getting a volume dedicated to the fantastic art of Margaret Brundage, whom readers of this column already know that I admire greatly. 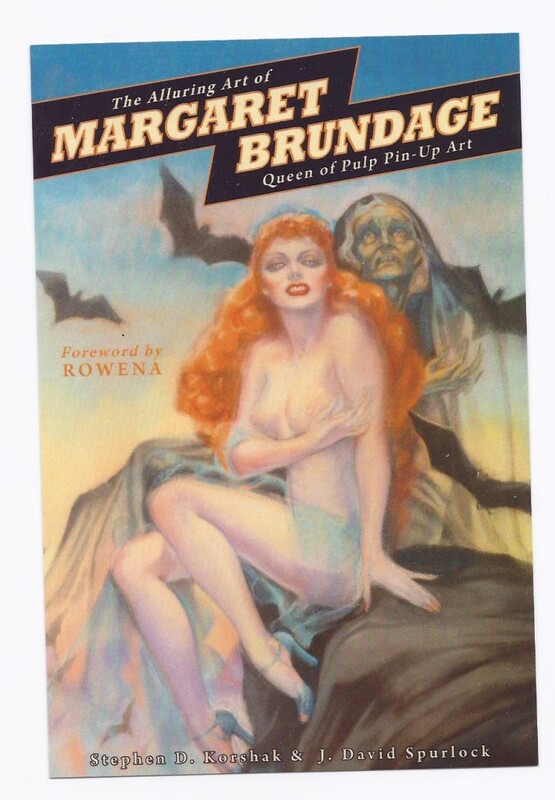 THE ALLURING ART OF MARGARET BRUNDAGE, which contains, I believe, all her magazine covers, will be released in the spring in three formats: Trade Paperback ($24.95), Trade Hardcover ($39.95) and Deluxe Hardcover (slipcased, with additional 16 page folio; $69.95). Check the back of the scanned advertising card for more details, or go to: www.shasta-phoenix.net. You don’t want to miss this book. I’ve already ordered mine. Tell ‘em Cheese Magnet sent you.